While the official notice does not name the manufacturer for reasons unclear, it is likely that the unnamed Swedish partner is Volvo, as the two companies have previously worked together, while Scania, who is also based in Sweden, has no prior engagements with the battery manufacturers. This is, however, conjecture, and the official statement is still outstanding. Note also Akasol CEO Sven Schulz mentioned a “follow-up order” in his comment. 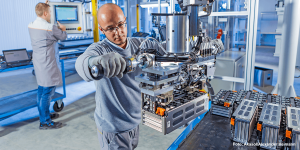 Starting in 2020, and until the end of 2023, the Darmstadt-based company will supply second-generation lithium-ion battery systems from their Langen site that specialises in electric bus batteries, as well as from the planned new site in the USA. Akasol’s second-generation battery systems offer 30% more energy density with the same installation space and equal weight and are also capable of fast-charging, according to the manufacturers. Akasol has been working hard for some time to establish themselves as a heavy vehicle battery expert, with ongoing battery development projects such as the eCitaro bus with Daimler, for example. At their battery facility in Langen, Germany, Akasol is currently running at an annual capacity of 300 MWh, thus producing battery systems for up to 1,500 fully electric buses or, up to 6,000 commercial vehicles per year. 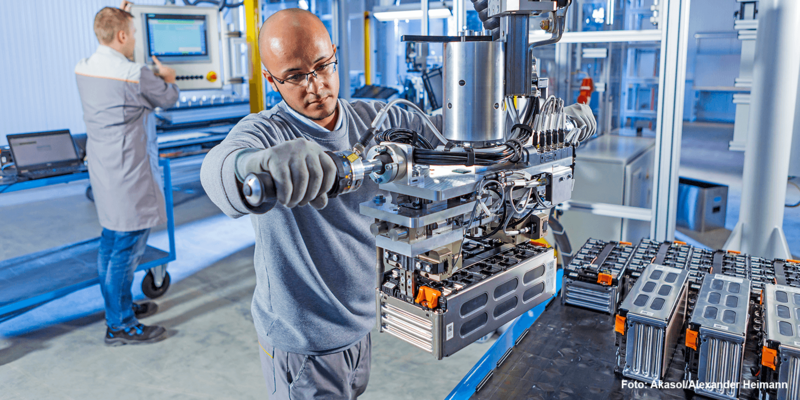 It is Europe’s largest production plant for commercial vehicle battery systems, according to Akasol. They plan to expand the plant to 600 MWh by 2020.